The Cambridges came and they conquered. The Duke and the Duchess of Cambridge Prince William and Kate Middleton made yet another glamorous appearance on Sunday, February 10, this time stepping out for the BAFTAs in wedding-worthy attire. For the celeb-filled occasion held at the Royal Albert Hall in London, Middleton could’ve been the bride in a one-shoulder, eggshell white Alexander McQueen gown. The piece featured a floral motif on one shoulder and a silk ribbon cinching her waist. The mom of three paired her outfit with a matching clutch and a sentimental choice of accessory by wearing earrings that once belonged to the late Princess Diana. The couple has attended the show for years with Prince William’s role as the president of BAFTA. During the ceremony, the duke presented the renowned Fellowship award—the highest honor of the evening—to film editor Thelma Schoonmaker. Following the show, the couple met with numerous winners from the program, including one interesting connection. The royals greeted actress Olivia Colman, who plays Queen Elizabeth II in the Netflix series The Crown. 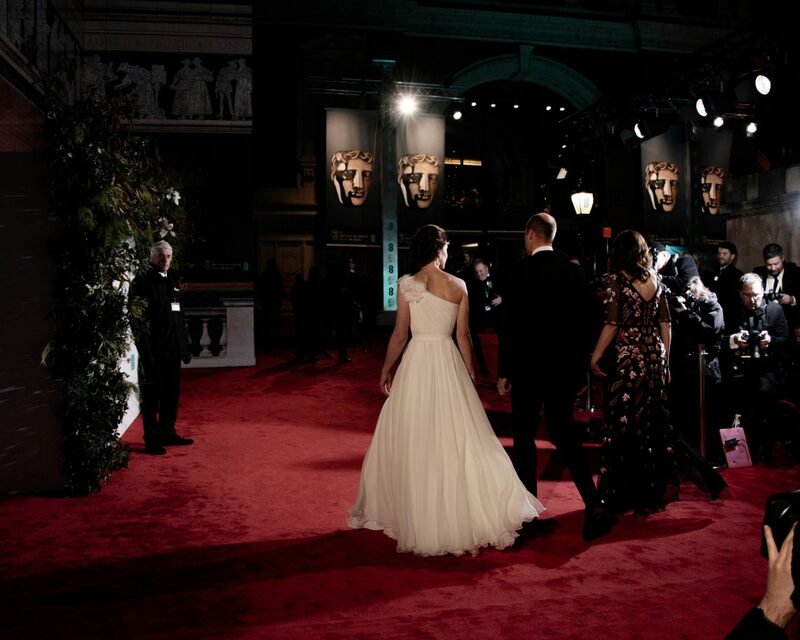 Be the first to comment on "Kate Middleton and Prince William Look Like They’re Walking Down the Aisle at the BAFTAs"